Bridesmaid style has come a long way in the last few years. Gone are the days of everyone wearing the same dress. Today, brides are mixing it up by having dresses for bridesmaids with different styles, fabrics, and colors that make it way more interesting and fun. This trend allows you to highlight each individual woman's style and ensure she's wearing a dress that makes her feel great. However, doing the mismatched look presents a new set of challenges. If it's not done right, you can end up with a very disjointed-looking bridal party. So, here are my tips for embracing different dresses while presenting a cohesive fashion story. We've all seen those photos on Pinterest where the wedding party is wearing a variety of dress styles. The difference between the ones that look good and the ones that don't? The hem length. When you have mixed hems, it is very hard to create a cohesive look; so stick to one length. I advise my clients to choose two things maximum that can be different about each dress and keep the rest the same. For example, different necklines and colors (in a pre-decided color palette) but in the same fabric. Or, different fabric (lace, cotton, chiffon, brocade, etc.) and necklines but in the same color. Changing more than that can start to look very confused. 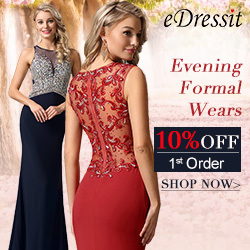 Different colored dresses are very popular right now. But it can be difficult to select ones that look good together since you're limited to the colors the designer offers. Also, the small swatches on a card often look very different when they are made up in a gown. The easiest way to visualize how they will look together is to check out the full-size samples in daylight, and switch out different options until you are happy with the combo. 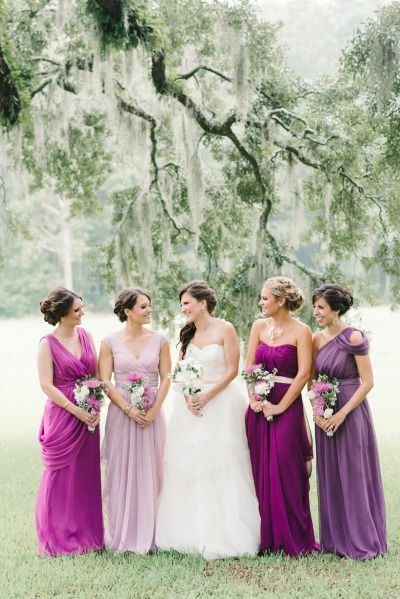 And consider pre-selecting the color each bridesmaid will wear — can prevent a lot of inter-wedding party conflict. 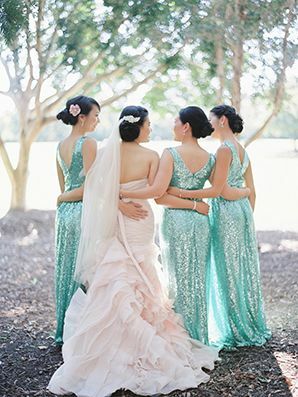 A lot of brides love the idea of giving their bridesmaids a color and the freedom to shop for their own gown. Unless it's black (which I've seen work nicely) this method can really backfire. Think about it: If you tell your six girls to find a long navy dress, you are going to end up with six different shades of navy that may not blend well. You are also going to have different fabrics that won't photograph in the same way. The result? Awkward photos! This actually goes for all bridesmaid dresses, not just mixed-and-matched ones. 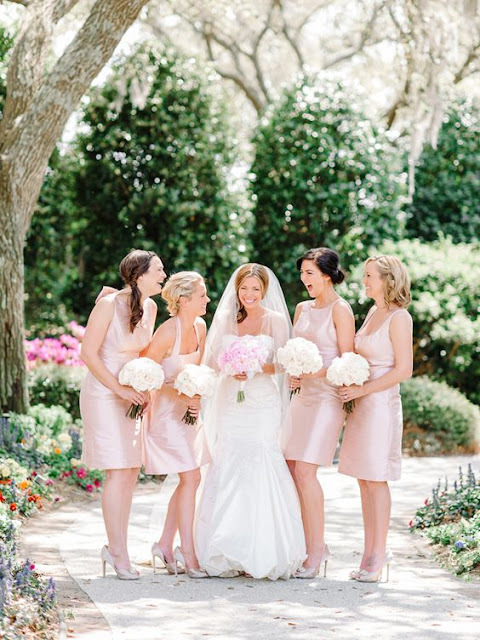 Make a separate appointment without your bridesmaids to decide their options in advance. Pre-select the dresses, necklines, and colors that you like. Then, let them choose their favorite. It will save you a lot of confusion at the ordering appointment when you are all together. Forget the idea of selecting a dress that they will "wear again." The fact is that no matter how pretty the dress is, they will always feel like a bridesmaid wearing it. So choose a dress that you like and they feel good in, and hopefully you will both enjoy them on your wedding day. What Are the Prom Dress Trends for 2016?